EUROCITIES, along with ICLEI, have been awarded the contract to run the pilot project for the European Green Capital Network. 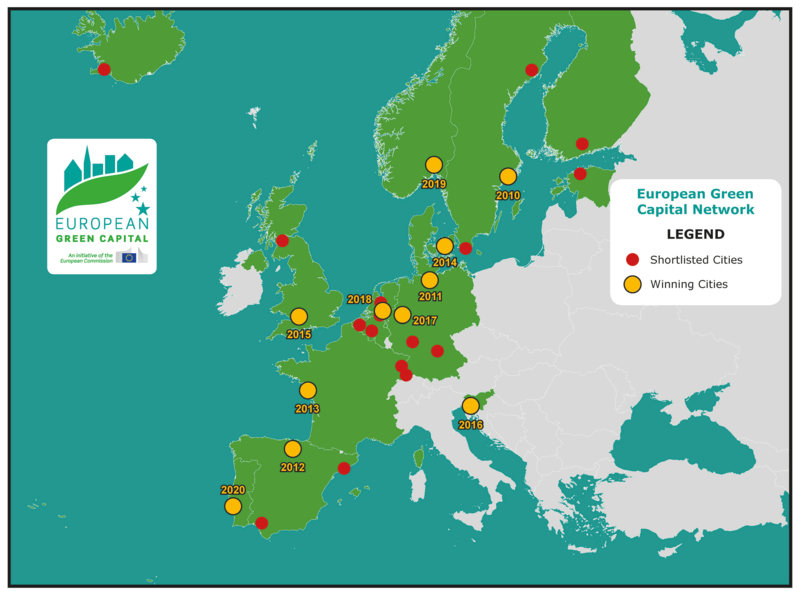 The European Green Capital Network: Inform. Exchange. Grow. During its European Green Capital Award-winning year in 2014, the city of Copenhagen created the concept of the European Green Capital Network (EGCN), exclusively dedicated to the previous winners and finalists of the award. The Network members’ political commitment to put sustainability at the heart of local policies makes them strong advocates for impactful sustainable urban development in Europe. To this end, members of the Network do not only exchange on best practices, challenges and potential solutions between each other, but they also encourage other European cities on their paths towards a more sustainable future by providing guidance and support. The Network additionally serves as a platform for change, representing European cities in relevant European and global political processes. The EGCN is chaired by the European Commission in close cooperation with the laureate city of the running year and automatically expands with each European Green Capital cycle. All previous winners and finalists of the European Green Capital Award are eligible to become members of the network, contributing to and benefitting from the collective knowledge. The current members are: Stockholm, Hamburg, Vitoria-Gasteiz, Nantes, Copenhagen, Bristol, Ljubljana, Essen, Nijmegen, Oslo, Lisbon, Amsterdam, Freiburg, Münster, Barcelona, Malmö, Nuremberg, Reykjavik, Frankfurt, Brussels, Glasgow, Umeå, ‘s-Hertogenbosch, Ghent, Lahti and Tallinn. During 2018-2020 the Network will hold internal expert workshops around four thematic visions for European sustainable cities. Based on the workshops, the Network will develop toolkits, providing recommendations and strategies for cities outside of the network.